I was lucky to find a painted PKF Pukisha faceplate so I did not have to finish my horrible work on the one I had sitting around forever. Now my Pukifee 'family' is complete with two boys and two girls. 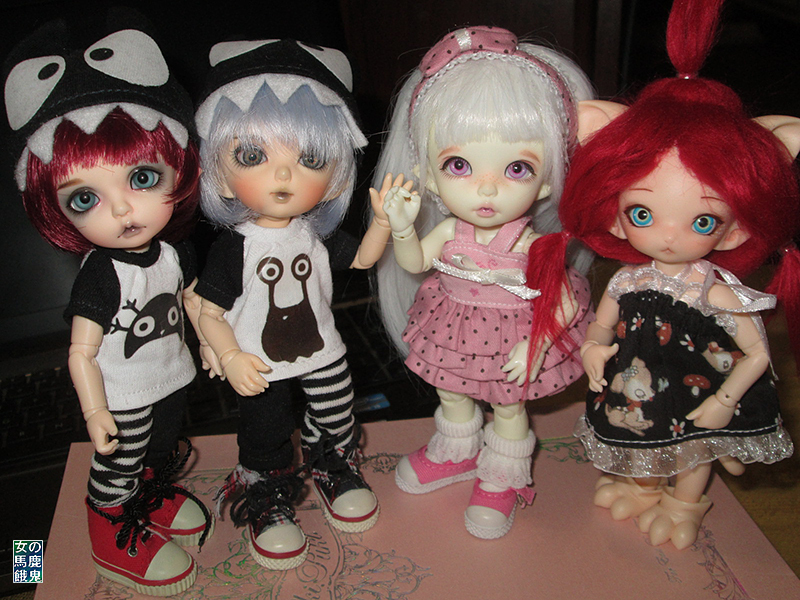 Here are Rāyu (Pio), Mirin (Shiwoo), LilliPilli (Ante) and Chai/Charlee (Pukisha).